The NEXT 'BIG THING' IN NEW COUNTRY! The Mississippi Delta is revered as the birthplace of the Blues and Rock & Roll. And soon it may also be recognised as the home of Southern Halo, a soulful sister trio hailing from the small town of Cleveland, Mississippi. 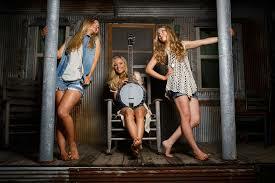 The stars aligned for the three sisters in 2014 when Southern Halo made the National finals of the Texaco Country Showdown at Nashville’s historic Ryman Auditorium® and recorded their first EP with Alabama’s Jeff Cook. Their current CD, SOUTHERN HALO, was produced by SESAC's 2012 Writer of the Year Catt Gravitt (Kelly Clarkson, Jake Owen) and Gerald O'Brien (writer of hits for Martina McBride, Trace Adkins). 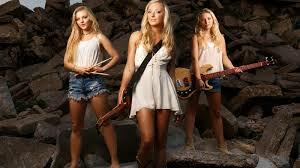 With the release of SOUTHERN HALO, the band’s career took off – and the trio’s popularity continues to grow exponentially. Last year they made their CMA Music Festival debut with appearances on two separate stages, were named Nashville Universe’s Vocal Group of the Year 2016, performed at an elite pre-GRAMMY Awards show on the rooftop terrace of the GRAMMY Museum ® at LA Live in Los Angeles, launched Townsquare Media's "Say It With Pepsi" Concert Series, and performed during the syndicated 63rd Annual Piedmont Natural Gas Nashville Christmas Parade television show. 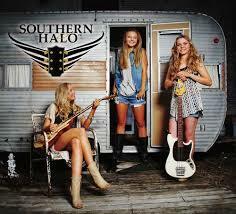 In October 2017 Southern Halo will be the special guests at the 2017 Annual BCMA (British Country Music Awards), followed by a UK radio tour to promote their new album, incorporating selected live performances in Scotland and a specially commissioned recording in London for BBC's Bob Harris Country.